are sold at authorised Honda motorcycle dealers. BHL newly opened two authorized Honda motorcycle dealers, one in Tangail and the other in Jamalpur. A total of six models went on sale, including the CD80 produced locally by BHL and the Dream Neo imported from Honda Motorcycle & Scooter India Pvt. Ltd (HMSI). In addition to sales of motorcycles, BHL will offer a wide range of services including sales of service parts as well as the regular maintenance of motorcycles to accommodate the needs of local customers in Bangladesh. 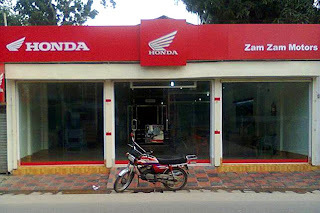 Honda will strive to increase the number of dealers in Bangladesh in the near future, and aims to expand joys by offering Honda motorcycle products through the newly established dealers.